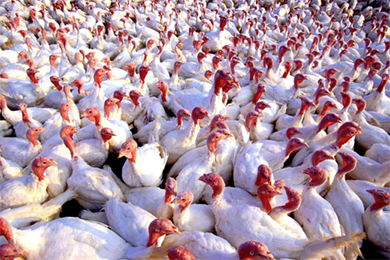 Turkey will be the main attraction on many home and restaurant menus next week. A golden turkey, on a large platter, is a sight to behold as it’s carried to the table. But be careful not to overcook your bird. Generally a turkey should reach 180°F (82°C) before you pull it out — a temperature that leaves the bird moist and tender, but is high enough to destroy bacteria. A stuffed, 25-pound turkey should be cooked for about 5 1/2 hours.